Our map to the left points you to our location. We offer some car parking onsite, both around the front and back of the centre. If we are busy, the Cambridge Leisure Multi-story car park is a few minutes walk away. We also offer large amounts of bike parking on site, but we cannot accept any liability for damage or theft if not secured correctly in our parking area. 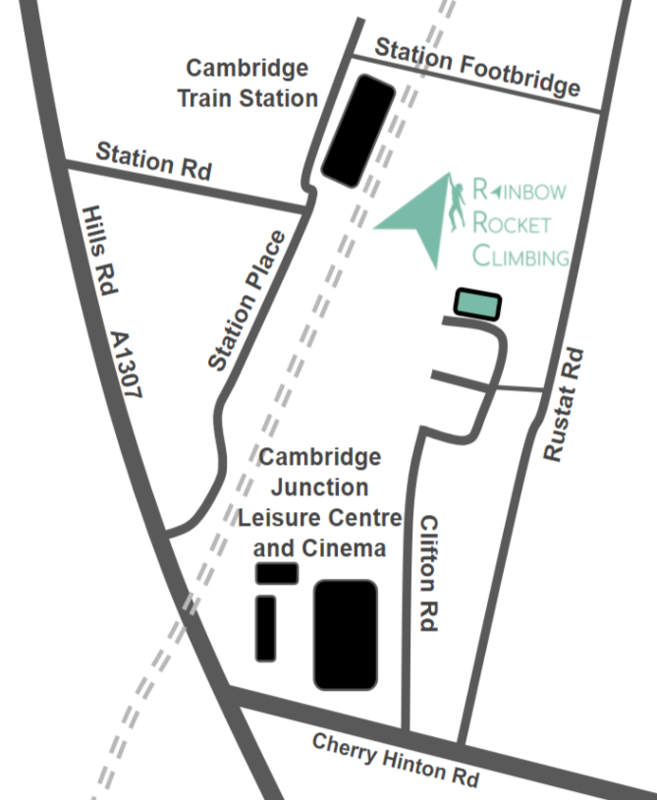 We are also less than 10 minutes walk away from Cambridge train station, as seen from this image. Just follow the station footbridge onto Rustat Road, and a small cut-through on your right will lead you to our main entrance.